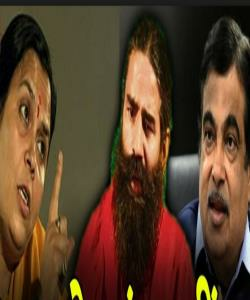 Recently, Baba Ramdev visited London and in a TV show, unknowingly, he referred Namami Ganga project of the government. He was a little critical of progress made so far and about the steps taken to clean river Ganga, which is a poll promise of the present government. Baba further added that only after the charge was taken over by Nitin Gadkari some progress has been noticed. When this came in the notice of Ms Uma Bharti, she got furious and wrote a long letter to Baba Ramdev. Immediately, after getting this letter Baba Ramdev tweeted that it was unintentionally done and that she is like an elder sister; hence, he never wanted to hurt her. He also mentioned that even if she feels hurt, he tenders an unconditional apology to his sister. Sources say, amidst this chaos, Maa Ganga is still waiting for the day when it all will be cleaned.